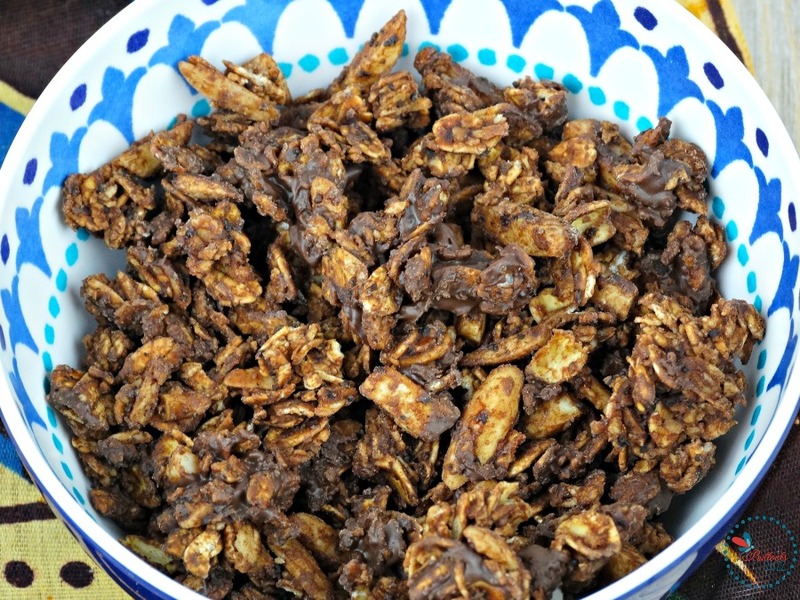 With a hint of dark chocolate, rich coffee undertones and sweet almonds, honey and vanilla, these crunchy clusters of Mocha Granola pack an irresistible punch! 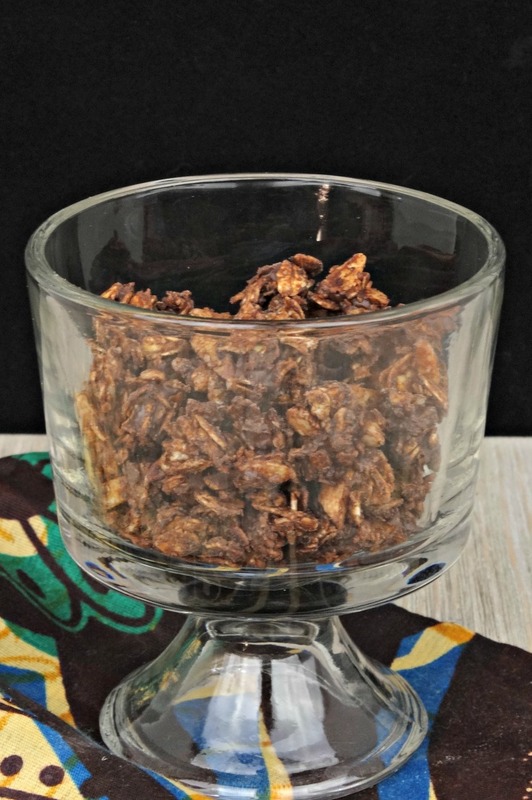 This article, featuring a Mocha Granola recipe, is a sponsored conversation written by me on behalf of The J.M. Smucker Company. The opinions and text are all mine. My morning cup of coffee has become one my most treasured pleasures of the day. It’s so nice to be able to have a few moments to myself, sipping on a steaming cup of coffee, before the rest of the family gets up and the day begins. And believe me, at 5 am, a cup of coffee is exactly what I need to get my day going! Another morning must-have is granola. Especially homemade granola with its extra fresh taste and ingredients you can actually pronounce. Plus, it’s fun to come up with different flavors and mix-ins! A few weeks back I got to thinking: since granola and coffee are two of my morning must-haves, why not mix them together?! So, I did. And you know what? It’s amazing! This delectable Mocha Coffee Granola is chock full of three of my favorite things: coffee, chocolate, and almonds. It makes a great breakfast, snack, or afternoon pick-me-up. But what really makes this granola stand out is that it’s made with Dunkin’ Donuts® Coffee. 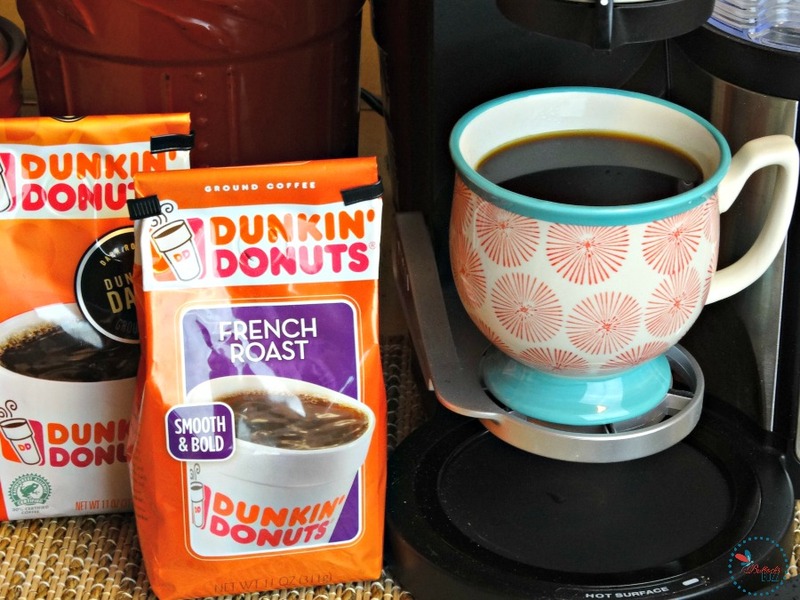 If you’ve yet to have Dunkin’ Donuts coffee you really need to give it a try. Everything you hear about it is true. It has a deliciously rich, smooth and robust flavor without any bitterness. And there are all sorts of wonderful varieties from which to choose. Using Dunkin’ in this Mocha Granola recipe gives you that exact same bold coffee flavor, while honey, a dash of vanilla and a sprinkling of chocolate chips provide the perfect amount of chocolate-y sweetness. It is literally the best of both worlds – whether it’s in a bowl, with some yogurt, or in the palm of your hand. Unlike most recipes with coffee as an ingredient, you won’t need to brew the coffee first. Instead, you are going to use coffee grounds. Although I made mine with Dunkin’ Dark Roast, you can use any flavor coffee you like. And if you’ve already had your fill of caffeine for the day, Dunkin’ Decaf works just as well! 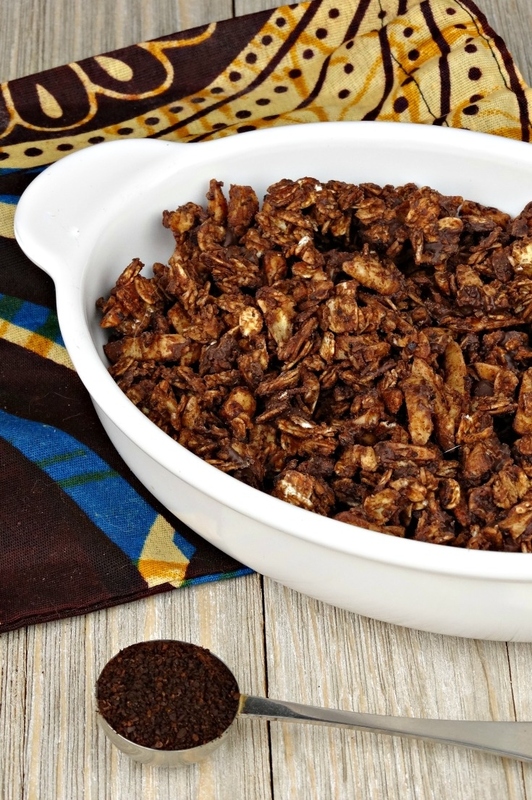 Are you ready to see how to make this delectable Mocha Granola? Preheat the oven to 300°F degrees. Line a large baking sheet with a silicone baking mat or parchment paper. Set aside. In a large bowl, toss together the oats, slivered almonds, and ground coffee. Set aside. In a small bowl, whisk together the melted coconut oil and the honey. Combine it as well as you can. Next, add the cocoa powder, a dash of salt, and the vanilla extract, mixing until combined. Pour this mixture over the dry ingredients until all of the oats are covered. Now spread the granola mixture onto the prepared baking sheet and bake for 15 minutes. Remove from the oven, stir everything around, and return to the oven for 10 more minutes. Once the 10 minutes is up, remove the granola from the oven, and sprinkle the chocolate chips all over it. Mix around as the chocolate begins to melt. Allow the Mocha Granola to cool completely before eating. *Mocha Granola will stay fresh in a covered container at room temperature for 1-2 weeks. 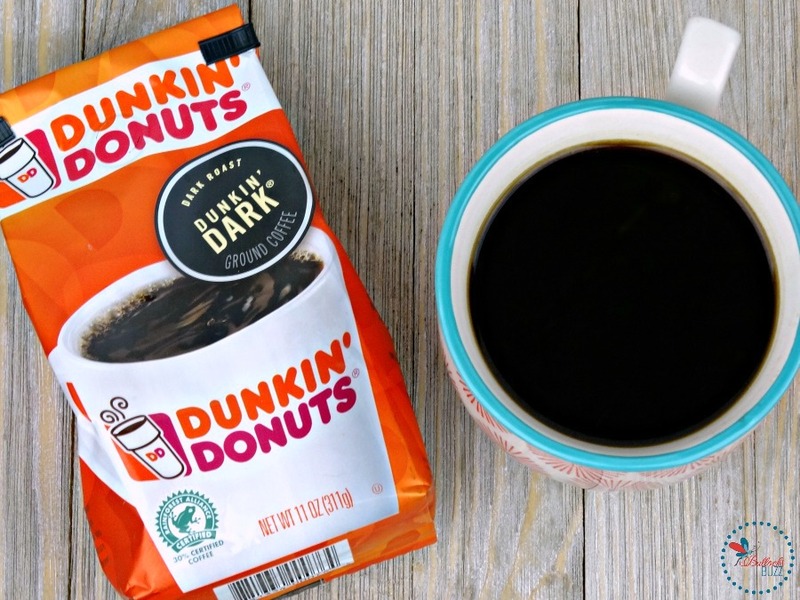 Pick up your favorite Dunkin Donuts coffee at Publix. They’ve got you covered with a variety of flavors and roasts, available in Grounds or K-Cups – all in the coffee aisle. 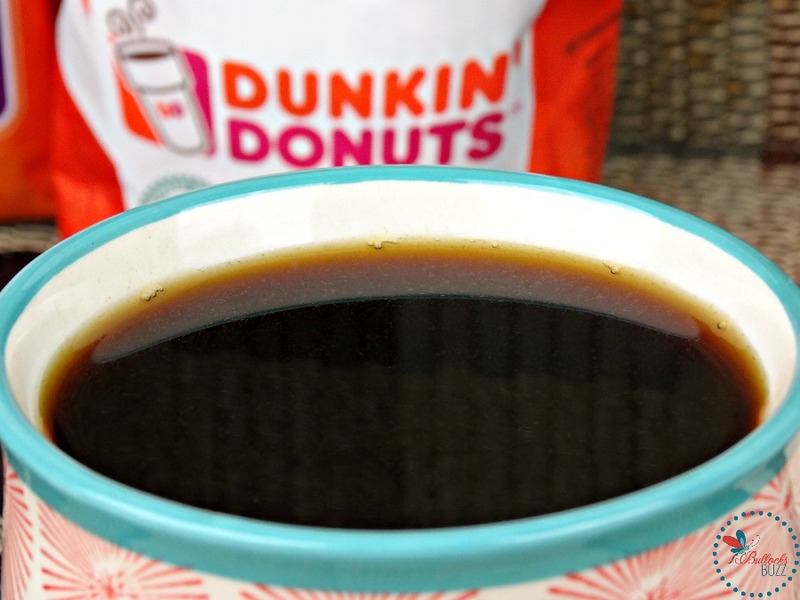 And be sure to take advantage of this $1.00 off any ONE (1) Dunkin’ Donuts coffee coupon (expires 7/19)! I hope you enjoy this Mocha Granola with Almonds, Chocolate and Vanilla as much as I enjoyed making it! Now, I’m off to finish my coffee before I start to work on my next post. 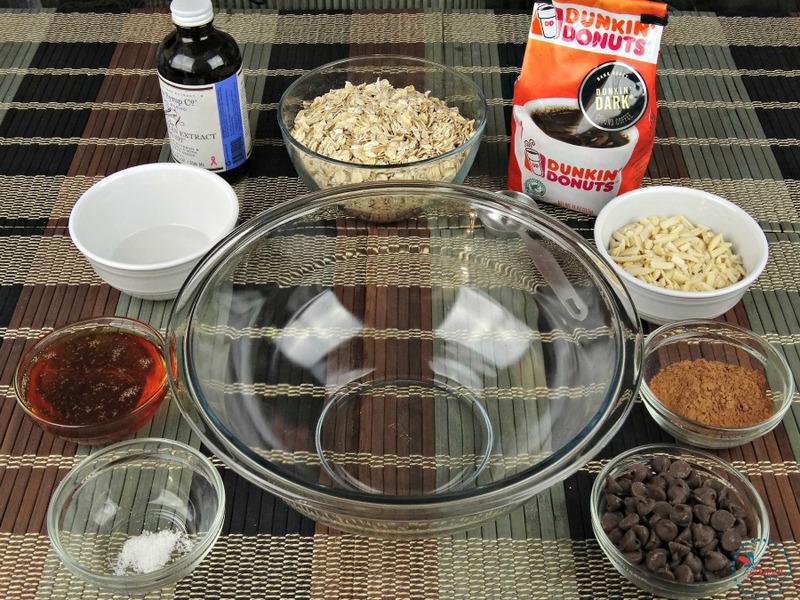 What flavor Dunkin’ Donuts coffee would you use in this Mocha Granola recipe? Preheat the oven to 300°F degrees. In a small bowl, whisk together the melted coconut oil and the honey, combining as well as you can. Spread granola mixture onto prepared baking sheet and bake for 15 minutes. Remove from the oven, stir, and return to oven for 10 more minutes. After the 10 minutes, remove the granola from the oven, and sprinkle the chocolate chips all over it. Mix around as the chocolate begins to melt. Mocha Granola will stay fresh in a covered container at room temperature for 1-2 weeks. Oh my gosh, this looks amazing! We’ve made our own granola before, but I’ve never seen a recipe with coffee in it, though I know it’d do well in our house because my husband and I love coffee! I’m totally trying this out on my family! Do! And please let me know how it comes out and if your family likes it! I use and love the coffee. However, I’d never thought about this. They really do make awesome coffee. I;ve made several recipes with their coffee, and it always comes out tasting so good! Let me know if you try it! Pinned! This looks amazing and easy! I love coffee and granola, will certainly give this a try! Thank you! Coffee and granola taste amazing together! Let me know what you think after you try it! Love homemade granola! this looks soooo yummy!!!!!!!!!!!!!!!!!! Thank you – it really does taste great! Yum! This looks awesome. I love granola for breakfast, and this one sounds like it would be perfect for those mornings when I’d like a little bit of a treat! Let me know if you decide to try it, and what you think! Now, this is my type of treat! I love granola, almonds and definitely chocolate. The Dunkin’ Donuts ground coffee and vanilla extract are an added bonus. I agree! The coffee gives it such a great taste! Thank you! Really? Yay! That’s awesome! Time for some coffee! I bet it’s amazing living in South Africa, too! i have had some good mocha granola places but I have never tried it out making it myself. This does look great. And I can imagine how the Dunkin Donuts coffee would help. I know people who swear by that stuff. Let me know if you decide to give it a try! I swear the coffee is what gives it it’s amazing taste! Let me know if you do, and what you think! This looks really yummy and I am sure it tastes great. Would love to try it out sometime. Let me know what you think if you decide to make it! LOL! They do make a wonderful product! Awww, thank you!!  It’s a new design and I am loving it! I love granola but I always buy it at the store. 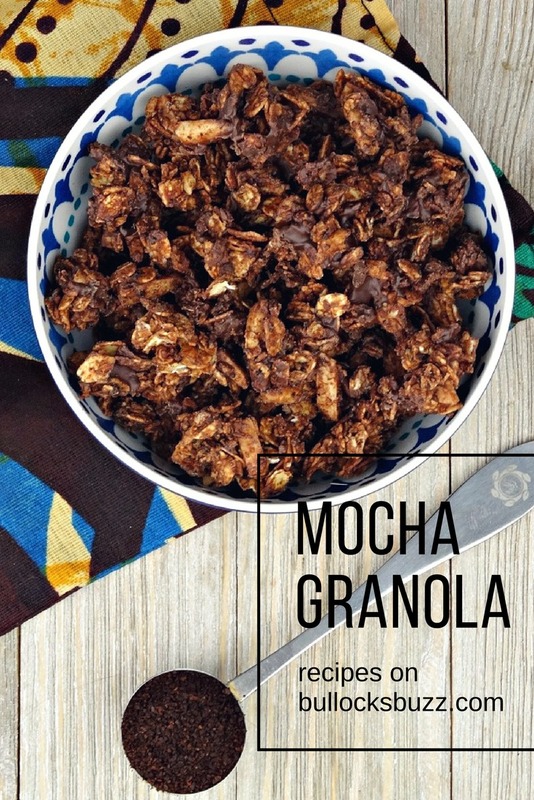 I want to try to make this, I haven’t really thought of having a mocha flavored granola before, but this looks really good. Oh you should really give it a try! I think homemade granola tastes better and you know exactly what is going into it! I am totally pinning this recipe. my family loves granola and they would definitely gobble this up in no time! That sounds amazing! I’ll have to get this ingredients at the store to make this soon ; ) thanks for the recipe/idea… I sadly would not have created this on my own. I love homemade granola!! this looks AMAZING!!!!!!!!!!! Plus it is mocha flavoring BONUS! This looks so delicious – I love a snack with a good crunch! Would it taste just fine without the mocha?